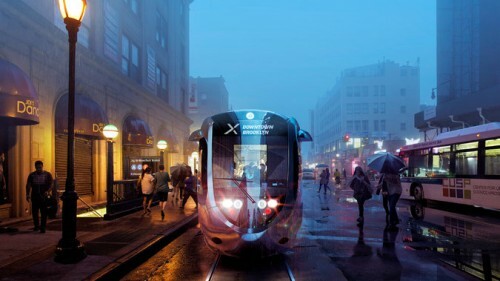 Is it the Streetcar Named Desire for the people of New York, or is de Blasio’s proposed streetcar linking Brooklyn and Queens a developer’s fantasy in the making? In either case, here’s what we know so far. We know slightly more about the L Train Shutdown than we did last week. Brace yourselves, because it seems as though “1 year vs. 3 years” was a generous estimate. It only took a year, but the reports from the CitiStorage fire investigation have been wrested into public view by The Brooklyn Paper. The fire was allegedly sparked by a light fixture, subdued, and then reignited. Kind of weird that department reps maintained their line that the investigation was ongoing, even though investigators signed off on the report on Jan. 8. If you make between $19,303 and $30,250 per year, you could be eligible for one of the $563 or $716/mo studios at 149 Kent. Coastal flooding: the new normal? The Newtown Creek Alliance illustrated what life could be like in the coming years for those living near the water. Given that many of the bulkheads are only a few feet above the average high tide, and taking into account predictions for sea level rise, you might reconsider investing in any waterfront property. Not that that’s even a remote possibility for most of us. Speaking of waterway drama, a sunken construction barge was recovered last weekend. Thankfully, there was no damage to the large fuel pipelines nearby. Simon Baron Development has scooped up 12 Franklin Street for $24 million. No word yet as to whether this means goodbye to Northern Territory or Dirck the Norseman. The fate of these establishments could depend on the fate of 25 Kent, which is the subject of a rezoning proposal that would allow developers to use it for office space and light manufacturing. The vision: a “technology and maker hub” that would add some “Silicon Alley” to the current mix of hotels and clubs. The G Train is the “least connected” line of the WiFi Underworld. Surprised? A 54-year-old cyclist was riding his bike on Kingsland Avenue last week when he suddenly collapsed and died. According to police, it doesn’t seem as though he was hit by a car.